Join VIPpet Newsletter and get an Exclusive Coupon! We Get it! EVERY musician has their specific needs based on playing style and many other possible factors. And you know the feeling when you got the dress or shoes that fit like a glove. You probably don't know why, but it just feels right. Our FluTune Adjustable Guitar Strap will do just THAT! No back pain, no stiffness on the strap, no loose threads, you can also add another layer of security with the included 2 buttons. 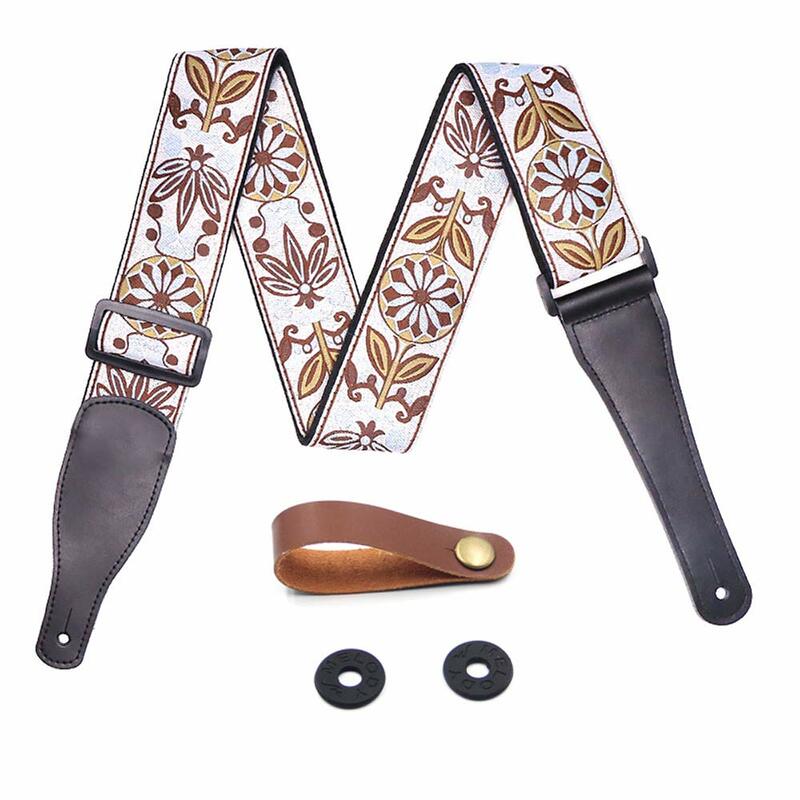 FluTune premium vintage patterns guitar strap will be you and your guitars' best companion! Still got excuses to slack on your guitar practice? Choose our adjustable guitar strap and you will love it! Suitable for a wide variaty of different guitars, including electric guitars, acoustic guitars, and bass. You will enjoy a 12-month warranty right after your perchase, just feel free to contact us about our music guitar strap, we will reply to you as soon as we see your messages.